The investment to fly any aircraft safely is certainly one of time, money, and considerable thought. Thank you for your attention to such an important aspect in aircraft ownership. It is the hope of your Cirrus family that you, not only thoroughly enjoy your training experience, but that we can impart our culture of safety to you and those you take into the blue skies. Imagine for a moment that you are cruising at 10,500 feet to a destination that has always been on your list of airports to visit. Of course you completed your preflight planning duties, but are you completely comfortable utilizing all onboard equipment to pull up vital information? Can you plan for a comfortable, safe descent into the airport? What if the weather unexpectedly changes? Are you capable of choosing an appropriate diversion airfield? Assume for a moment that you hear slight engine roughness? Can you accurately determine if it is a matter of improper leaning, or if you are close to having an engine malfunction? Your flap circuit breaker trips requiring a no-flap landing. Do you know how to handle the aircraft on final approach? Each of the aforementioned challenges takes a combination of experience and instruction to confidently and safely perform. 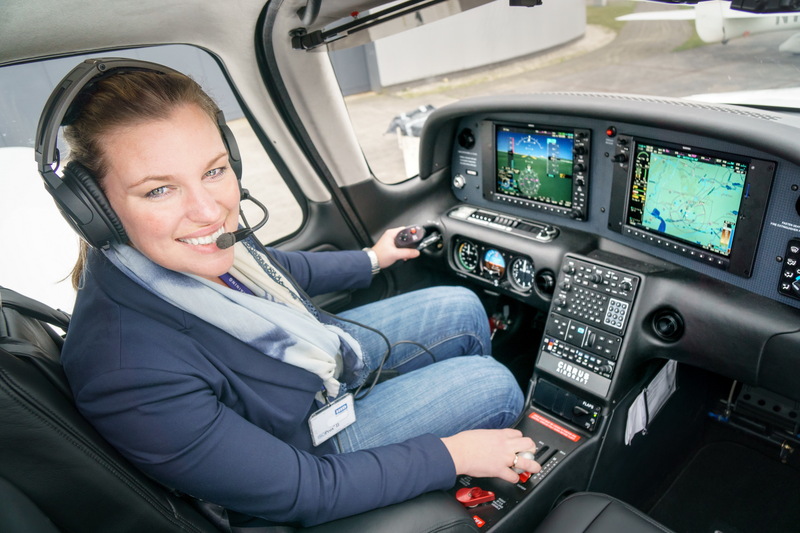 Depending on your previous Cirrus experience, a variety of courses are available. Whether you are a first time Cirrus pilot or are transitioning from one Cirrus to a slightly different type, we have courses designed to fit your unique set of skills. Flight training is given by our highly experienced Dorien Haafkes. Dorien has been working with us for two years and has helped many satisfied customers with their training. She is happy to advise you with the possibilities regarding flight training. Would you like to get in touch with Dorien? Please refer to the bottom of this page for contact information.